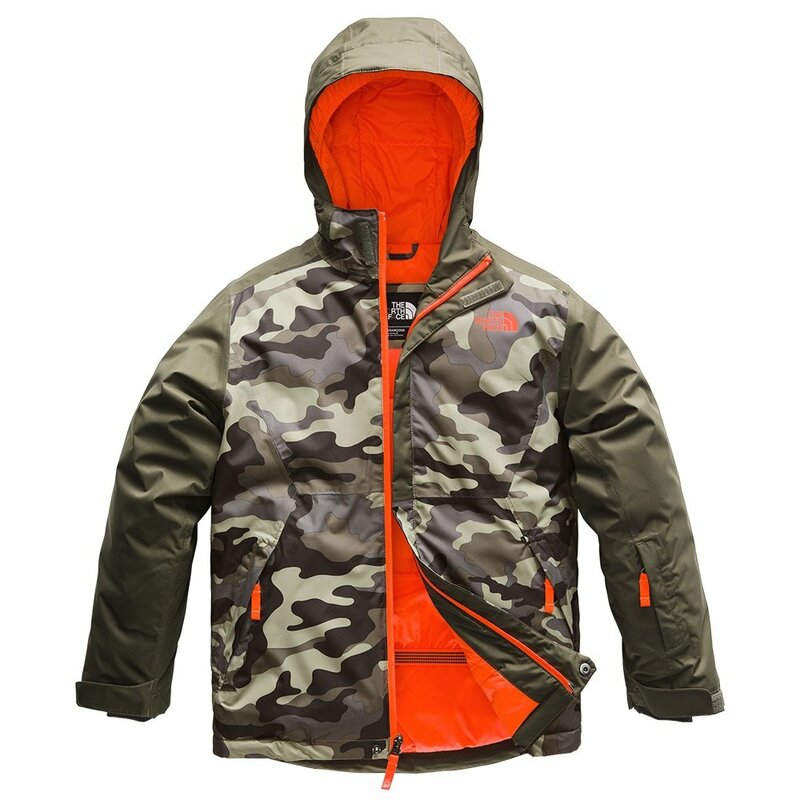 Whether your little guy is ripping up the slopes or having a snowball fight in the schoolyard The North Face Brayden Insulated Ski Jacket has got him covered. It’ll keep him warm with 200g of Heatseeker™ insulation and dry with waterproof, breathable DryVent™ 2L fabric. The powder skirt, internal stretch cuffs, and adjustable drawcord add to the protection with a quality barrier against the snow. And in case he wants to take his gear on the slopes, you won’t have to worry thanks to a myriad of zippered pockets including zippered hand pockets and an interior media pocket.